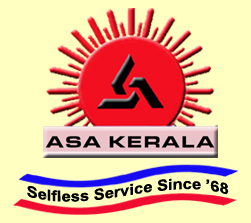 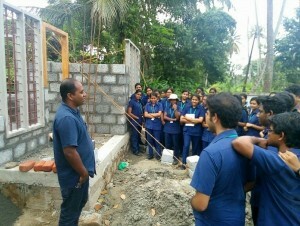 As the part of the ‘Theory to Practice’ program, the students of the Department of Civil engineering visited the Ashwas Bhavan site for the second time on 28th September 2016 under the guidance of Prof. Dr. Babu T Jose, Director, AISAT. 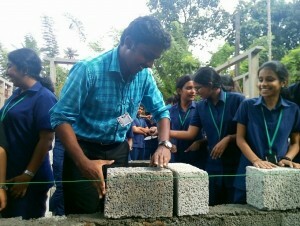 Students could gain both theoretical and practical knowledge about concrete block masonry. 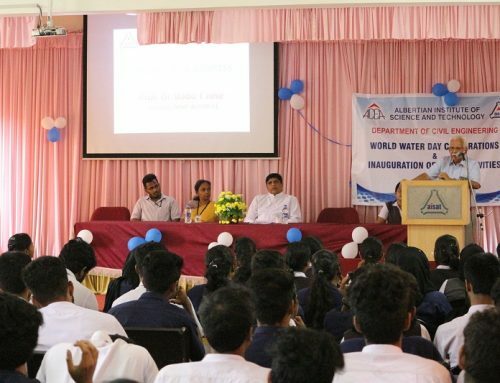 Er. 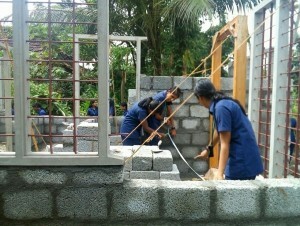 Jose Babu shared the practical aspects about different types of masonry and thumb rules practiced in site. 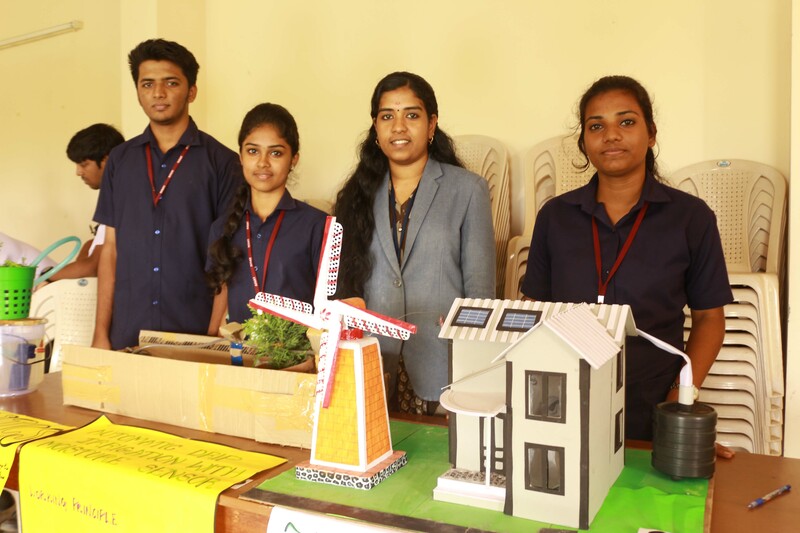 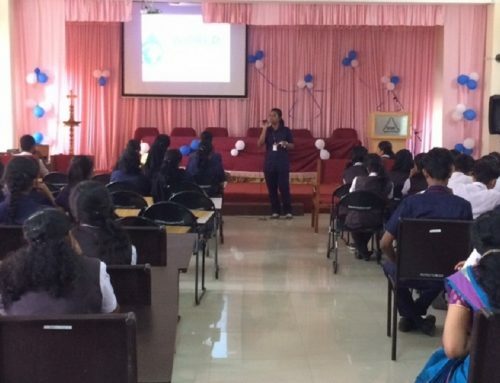 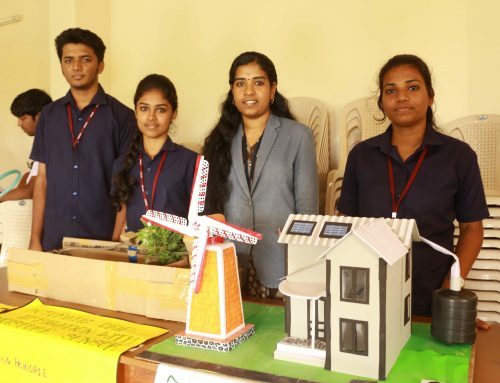 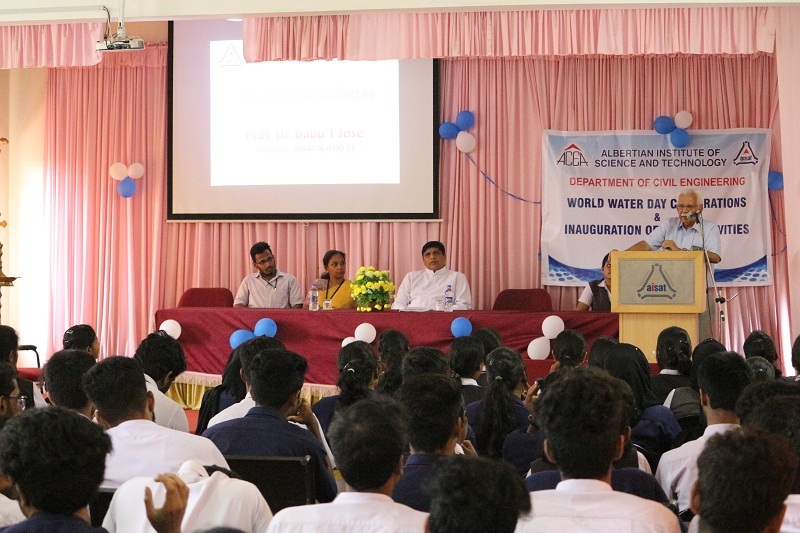 The team consisted of the fifth semester B.Tech students accompanied by Prof. Vincent K John, Vice Principal and faculty members Ms.Sheeja.M.K, Ms.Aleena Tom and Mr.Neeraj U.K.